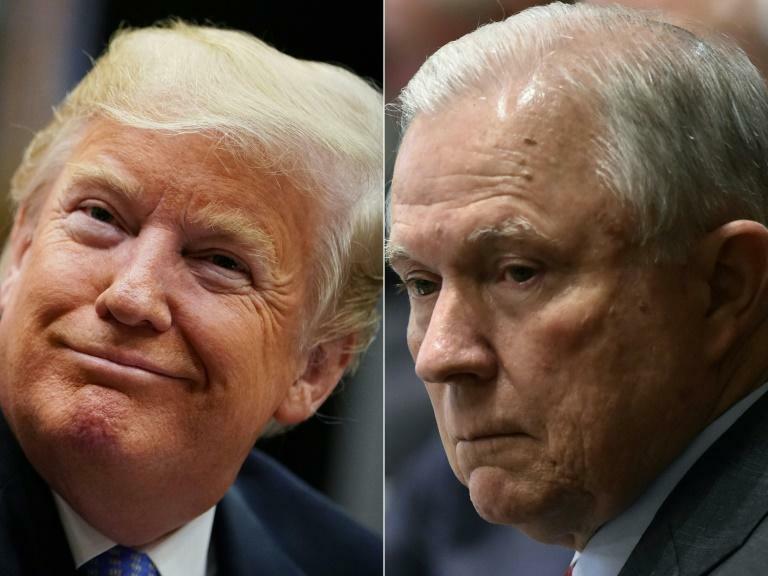 Donald Trump tore into Attorney General Jeff Sessions again Friday, mocking him viciously a day after Sessions took the rare step of fighting back against criticism from the president. In a burst of early morning tweets, Trump quoted from a statement Sessions issued Thursday in what was seen as a veiled jab at Trump, who has made the Department of Justice head his punching bag for recusing himself from the Russia election meddling probe. "'Department of Justice will not be improperly influenced by political considerations.' Jeff, this is GREAT, what everyone wants, so look into all of the corruption on the 'other side,'” Trump wrote. He then listed what he said were examples of such foul play: Hillary Clinton emails that were deleted, what he called lies by former FBI director James Comey, and what Trump described as conflicts of interest affecting Robert Mueller -- the special counsel who is investigating Trump's ties to Russia. In a later tweet, Trump listed more things he said Sessions should investigate including a dossier said to include salacious details about Trump as well as what the Republican leader said was illegal surveillance of his campaign while Barack Obama was president.